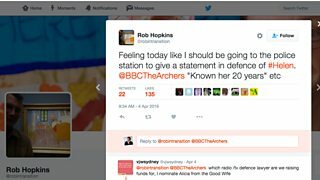 For more than two years, The Archers has been telling the story of Helen and Rob. In that time, Radio 4 listeners have been party to a truth that few who live in the quiet village of Ambridge had uncovered - that Helen has been systematically abused by her husband Rob. 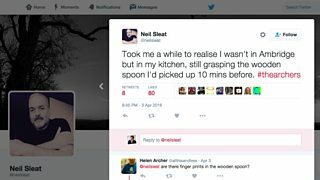 On Sunday 3 April, listeners were shocked when Helen stabbed Rob after her attempt to leave turned to violence. I knew it was going to happen. Yet hearing it unfold on air, I felt the same shock run through me as did the listeners who for a few minutes sat stock still, their fingers frozen mid-air, unable to type, unable to breathe, as we heard Helen take a course of action that would change her life forever. The Archers are notoriously guarded about story lines - spoilers ARE NOT PERMITTED. 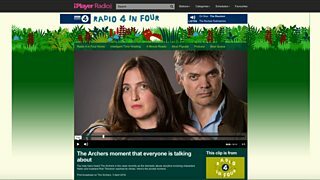 So nobody outside of The Archers team knew that this was going to happen. As the episode progressed, our Twitter feed and Facebook page began to echo with the sound of listeners’ collective jaws dropping, as they struggled to process what they were hearing... Did that just happen?? 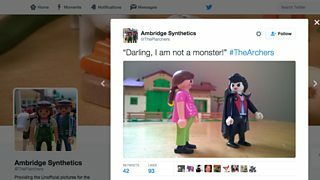 Within minutes, #thearchers was UK Top Trend on Twitter and would keep trending for four hours straight. 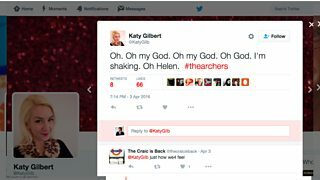 The Daily Mail dubbed it ‘The Day The Archers Broke Twitter’ after a fan on Twitter coined the phrase. These reactions are not just numbers, marketing analytics. They represent strength of feeling, immersion in the storyline - that moment bristled with power, with shared feeling. As my timeline grew instantly unmanageable, it was as exciting to watch the listeners’ reaction as it had been to hear the drama that ignited it. 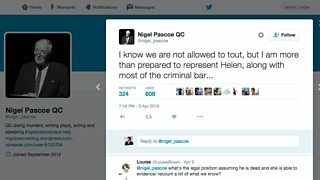 Within minutes of the episode ending, a QC had tweeted that he would defend Helen. Listeners flooded onto Twitter and Facebook to support her as witnesses or false alibis. After all, we’d heard everything. Surely the police would listen to 20,000 tweeting fans? Or find everything they needed for the defence from #thearchers hashtag? 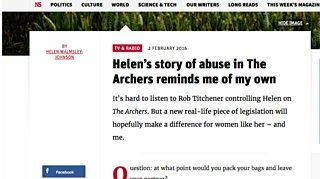 If Rob Titchener had been the pillar of the community that some in Ambridge might claim him to be, would he have been rendered thus by Archers spoofers The Plarchers? Would the serious illness of #FuriousAtRobitis have been diagnosed? So if justice could be served by Facebook or Twitter, it would be case closed, right? We lived in hope. And did I mention that Pam Ayres tweeted a poem (with just two characters to spare)? Does this seem strange to you? It’s just a drama. Don’t these people know that? OK, Helen and Rob might not be real [disclaimer: I don’t really believe this, they are real] but we’ve lived with Helen for years. We’ve sat in the sitting room of Blossom Hill Cottage, in the kitchen, in the bedroom, and listened powerlessly as the Helen we knew crumbled. We worried for her young son Henry. We cried with frustration at Bridge Farm as Rob groomed Helen’s family. Our emotions are real. Our shock was real. And these issues are real. We care. That’s why Twitter ‘broke’. That’s what makes this story work. We care. As the story has progressed, listeners have shared their personal experiences of control and abuse, on Facebook and on Twitter. If this has shown me anything, it is that this experience is far from a rarity. 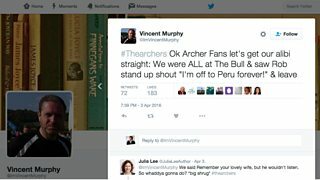 It has been a great honour to be party to these confidences and to see The Archers community rally round. A helpline has run alongside the programme since March. I have cried reading these testimonies. I've had strange dreams. I’m sure I haven’t been alone in doing so. And really, though the jaw-dropping moment might appear to have taken place on that Sunday night in Blossom Hill Cottage, it actually began well before. 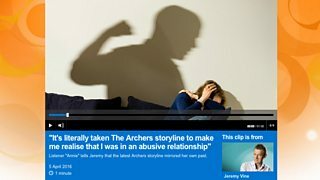 In truth, the jaw-dropping moment is: calls to domestic abuse helplines being up 20% in part because of “The Archers effect”. It’s listeners collectively donating over £100,000 to a domestic abuse charity, entirely unprompted by the BBC. It’s domestic abuse becoming a national debate as every newspaper covers the story. It’s a community of listeners mobilising to understand, to feel, to make change. The potential for positive outcomes from it feel huge and important. Is this a smiley face which I see before me - or is #ShakespeareMe a whole new way to discover the Bard?